Resist dyed, stitched handmade felt. 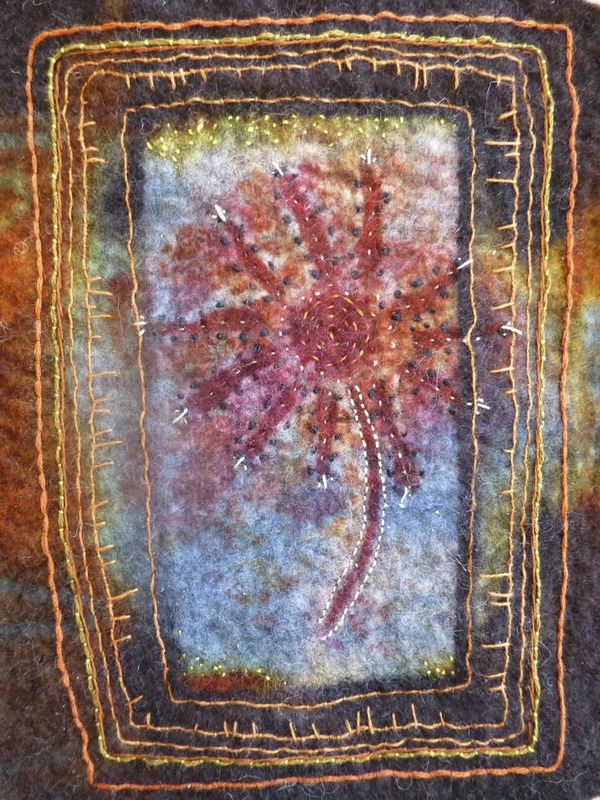 Kirsti Sandoy is a fiber artist who creates work to view, wear, use and enjoy. Primarily drawing inspiration from traditional textiles and nature, she combines wool, silk and other fibers to produce finely crafted felt.